Beyond providing data for all 32 NFL teams, PFF also supports network broadcasters with game-preview packets that are used to enhance the in-game experience for fans and viewers. This Texans-Redskins preview features the same information our broadcast partners use for team research and in-game production. 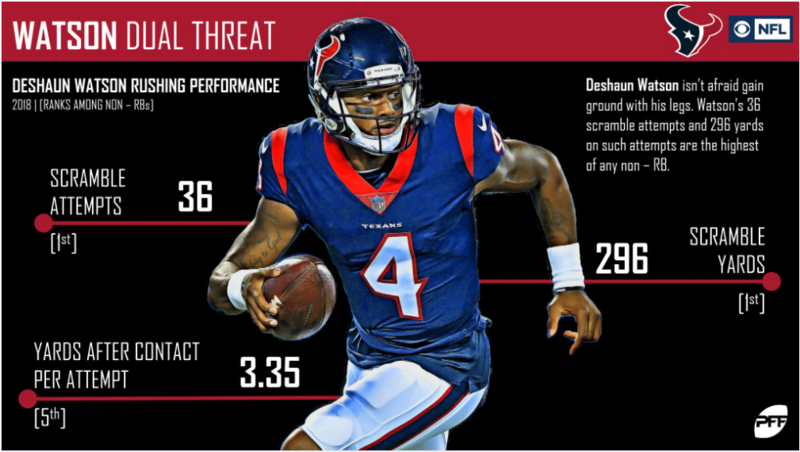 Deshaun Watson has been excellent from a clean pocket in his last two games. He’ll look to keep that going against Washington. 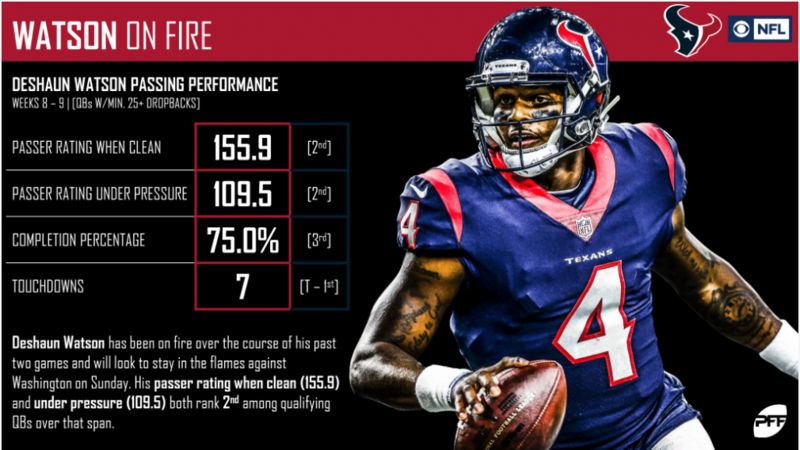 In addition to his work in the passing game, Watson has also continued to excel in the running game, leading all quarterbacks with 36 scrambles for 296 yards. 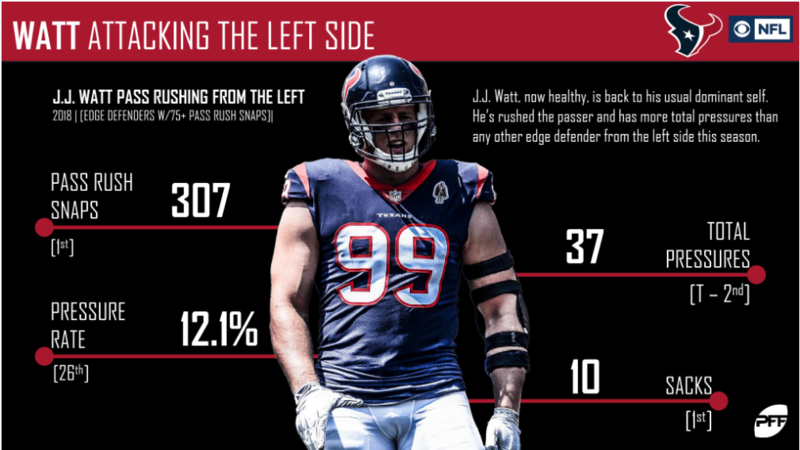 J.J. Watt, now healthy, is back to his dominant self. He leads all edge defenders with 10 sacks from rushes from the left side this season. 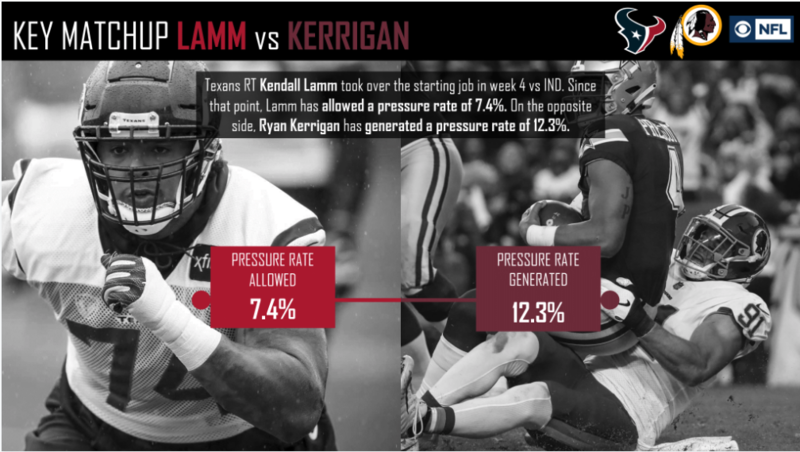 The Texans defense has been unable to generate much pressure when it counts. 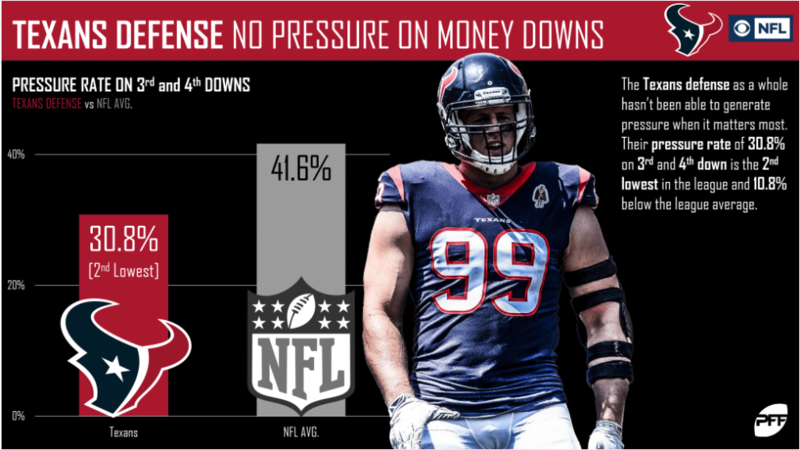 With a 30.8% pressure rate on money downs, Houston has the second-lowest mark in the league. 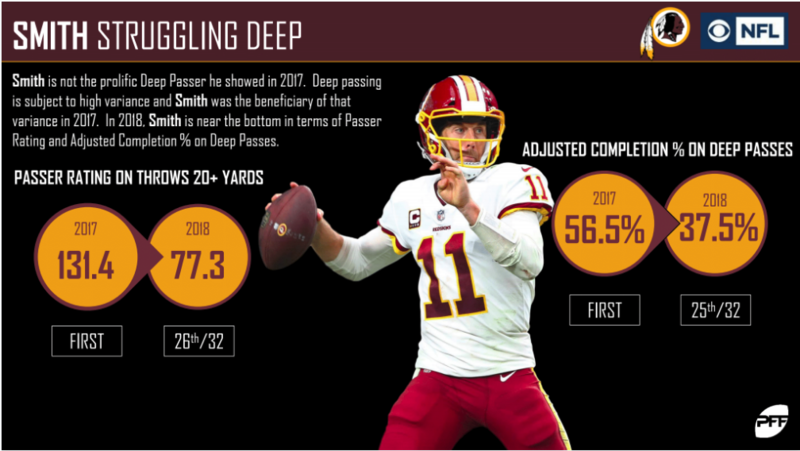 Quarterback Alex Smith has struggled with the deep ball in 2018. 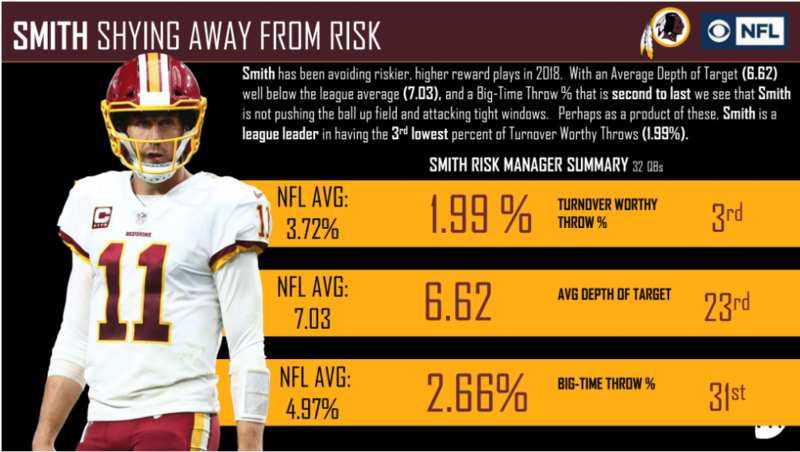 After leading the league in both deep passer rating and adjusted completion percentage a season ago, Smith now ranks 26th and 25th, respectively. The veteran quarterback has taken a much more conservative approach this season and averages just 6.62 yards downfield per attempt – good for 23rd among the league’s quarterbacks. 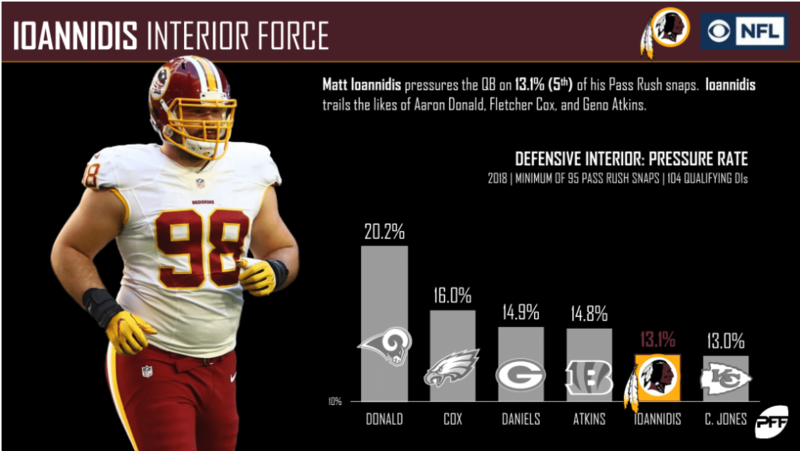 Interior defensive lineman Matt Ioannidis has generated pressure on of 13.1% of his rushes this season, which ranks fifth out of 104 qualifying players at the position. D.J. 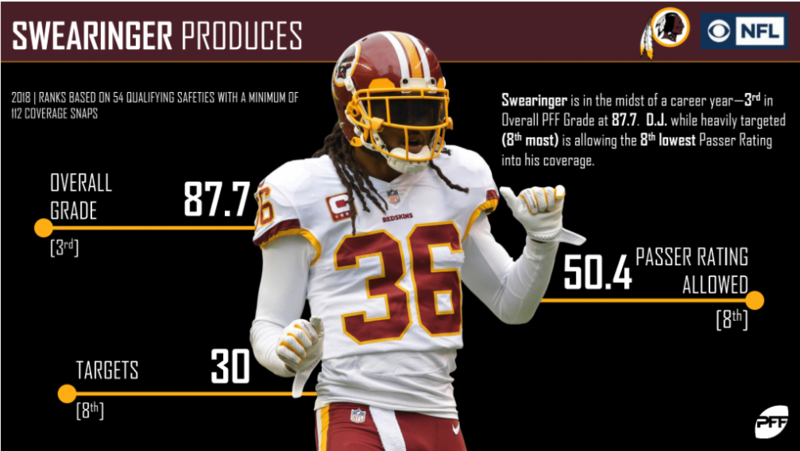 Swearinger has been tested often this year, and the results have been astoundingly positive. All told, he’s allowed a passer rating of just 50.4 when targeted, which ranks eighth among safeties.